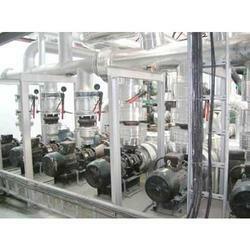 We are the leading service provider of Chilling Insulation Services. We are among the business pioneers, offering Chilling Insulation Services to our venerated clients. The offered administrations are rendered for funnels of all particulars utilizing calcium silicate. These administrations are perfect when the funnels are subjected to high temperature applications. With the application of advanced engineering, these administrations are directed in a convenient and practical way. 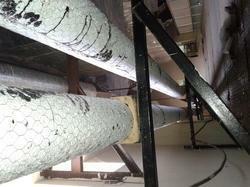 We introduce ourselves as the prominent service provider of Chilling Pipe Insulation Services. These insulation services are provided by our highly skilled workforce keeping in mind the need of customers. We also ensure that the insulation services delivered by us are the best available in the market. These cold insulation services are provided at affordable rates within a given time frame. We are a leading supplier of a comprehensive range of Rubber Sheets for industrial applications as an insulation material for insulation services.